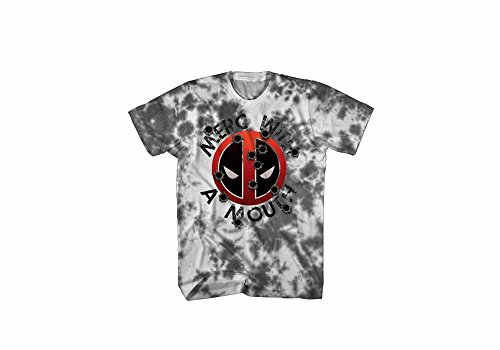 This is an official Marvel Comics t-shirt featuring Deadpool’s Logo on a handed treated t-shirt. Made of 100% pre-shrunk cotton. The fake bullet holes are part of the shirt’s print art–there are no actual holes in the shirt. CERTAIN CONTENT THAT APPEARS ON THIS SITE COMES FROM AMAZON SERVICES LLC.THIS CONTENT IS PROVIDED 'AS IS' AND IS SUBJECT TO CHANGE OR REMOVAL AT ANY TIME.